From November onwards, I have the honour of coordinating the RUGGEDISED projects within the city of Rotterdam. I just moved from Stavanger, Norway, where I was working within the Triangulum project for the municipality as well. I am an Architect by education and have always worked in the field of sustainability. The RUGGEDISED project look promising and I am very much looking forward to being involved. With renewed energy all partners in Rotterdam have started the third year of project execution. Some of our solutions have already finished and are now in the scale-up phase, like smart waste collection which is now being rolled out across the city. This promises to be a very exciting year in which we hope to finish the last implementations and start to see some of the benefits materialize. I hope you enjoy reading this newsletter and stay in touch with our process! A huge milestone has been reached by all partners involved in the Ahoy smart thermal grid. 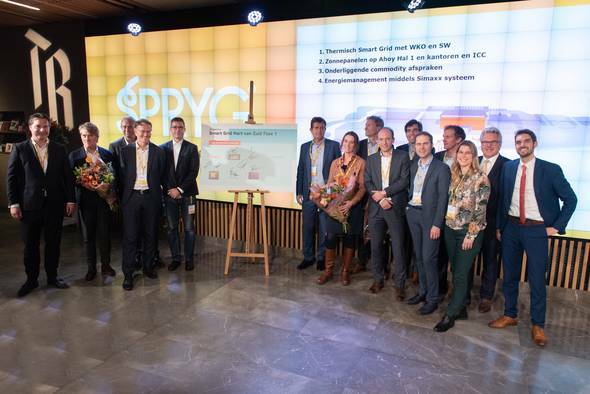 In a signing ceremony last November, covered by the local press, all contracts have been signed for realizing 5800 PV-cells on Ahoy and the adjacent ICC building. Peter van der Veer, Director Rotterdam Ahoy: "Now that we have ratified this large-scale collaboration, many beautiful initiatives are starting and we are actually going to make a difference." Eneco is the party that will build the networks and ensure that Ahoy will be gas-free in the short term Eneco will also realize the largest sunroof in Rotterdam at Ahoy Hans Eneco Chief Customer Officer Eneco: "This first agreement provides a huge step towards making the energy use around Ahoy more sustainable." With these first projects alone, we are achieving a reduction of 1422 tons of CO2. " On top of that, the complex will be connected to the thermal grid which will share the heat/cooling, which is generated in Ahoy, with a newly to be build hotel and cinema nearby. Connected to the 3D city operations model developed in RUGGEDISED, the digital twin of Rotterdam is giving us a lot of interesting information and we cannot wait to see the model functioning to its full potential. The 3D city model is an open source model which means that third parties can use data and visualisation tools to create their own business. 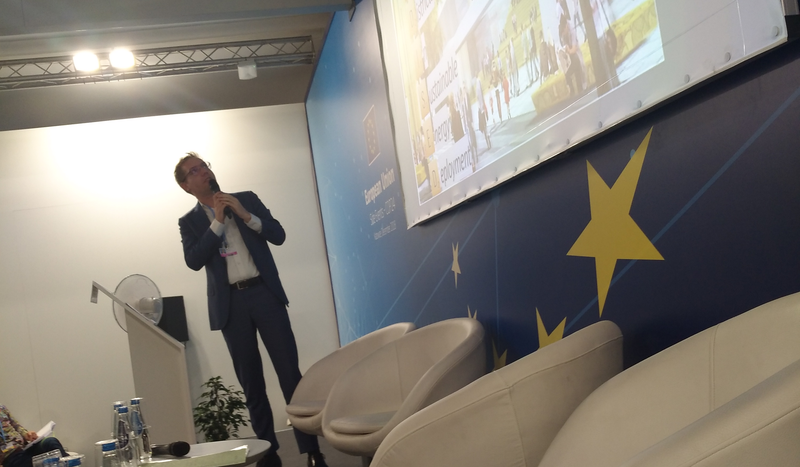 Rotterdam's deputy Mayor, Arno Bonté, was present at COP24 at a session organised in the EU pavilion to show the work done in the Heart of South district in the context of the RUGGEDISED project. The RUGGEDISED project was presented at the Rotterdam stand during the Infratech conference from January 12-15, which took place in the AHOY building, which is connected to the RUGGEDISED solutions developed in the Heart of South.